This bag might look small but it can store more than you think whether it’s big or small. This sports duffel bag is both functional and fashionable because you can use it for traveling, or for any sport equipment. This bag can hold gym clothes, shoes, and one large zippered pocket in the front and two side pockets for small personal items. Made from durable rip stop nylon with 600D accents. The Sports Duffel Bag is easy to carry because of an interlocking handle and the shoulder strap. 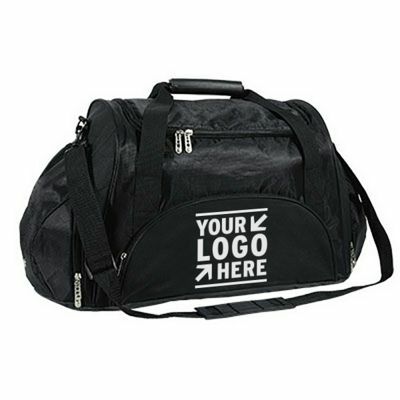 If you purchase one of these duffel bags you can have any logo on it like sports teams, or business logos.